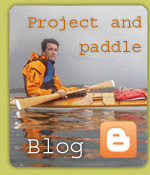 This course is for those who are curious about the possibilities of Greenland paddles. 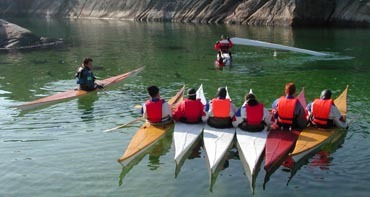 Participants bring their own kayak and suitable clothing, but can borrow and test different types of paddles: Common Greenland paddles of varying length, curved Greenland paddles and storm paddles. We will cover basic paddling techniques, bracing, steering, wet resting practice, sculling, eskimo rolls etc. This is not a starter course for eskimo rolls, nor is it an advanced rolling course. Those who know how to roll can get some tips and ideas, and learn a bit more. Those who can't roll will practice other techniques. The course runs for 4 hours, and is organised for 4-8 participants.